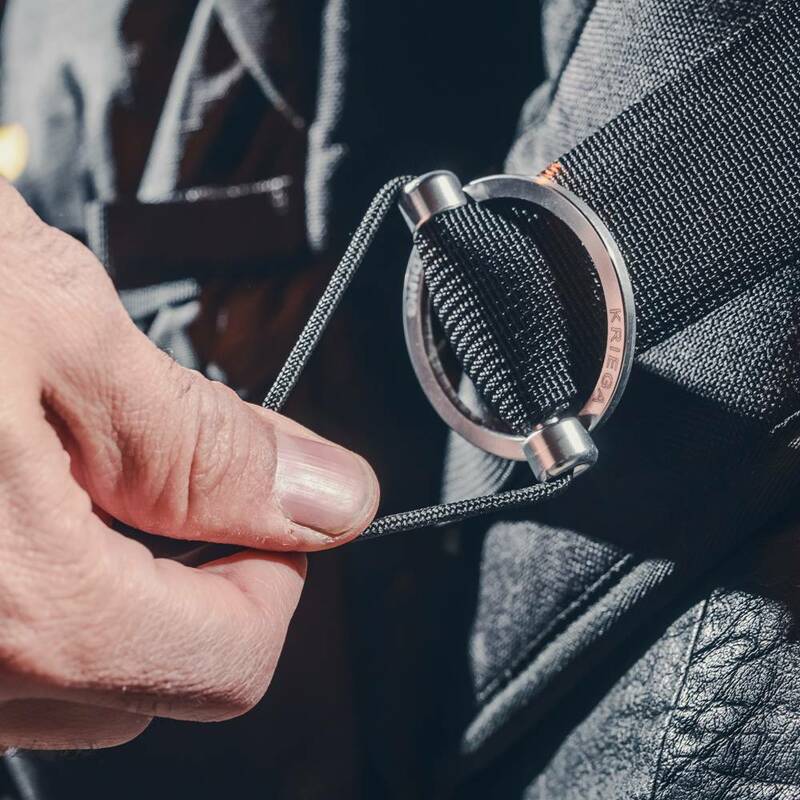 All-round performance for short tours or every-day carry. 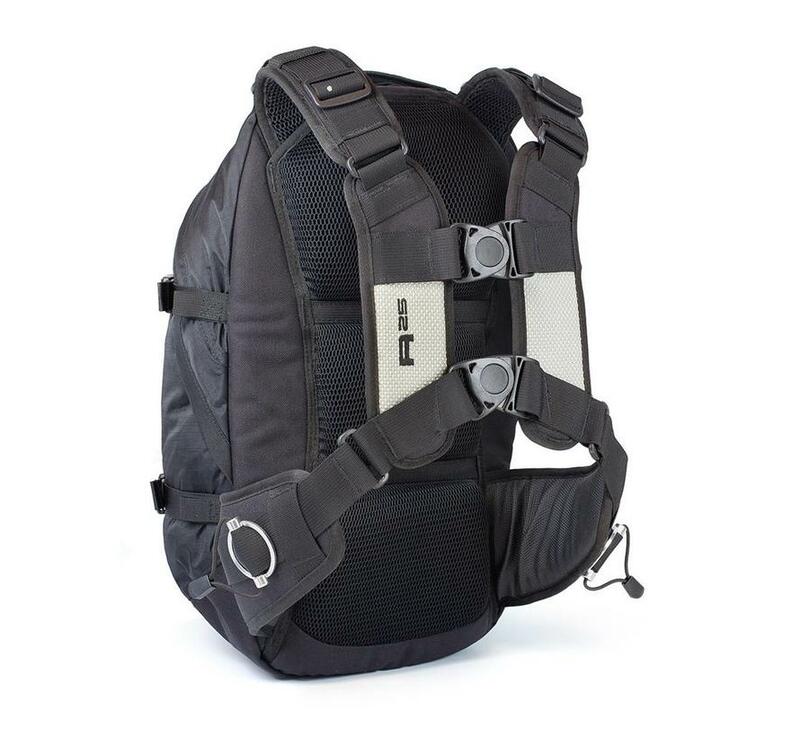 R25, the most popular backpack! 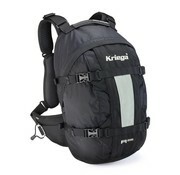 Capacity 25 liters. 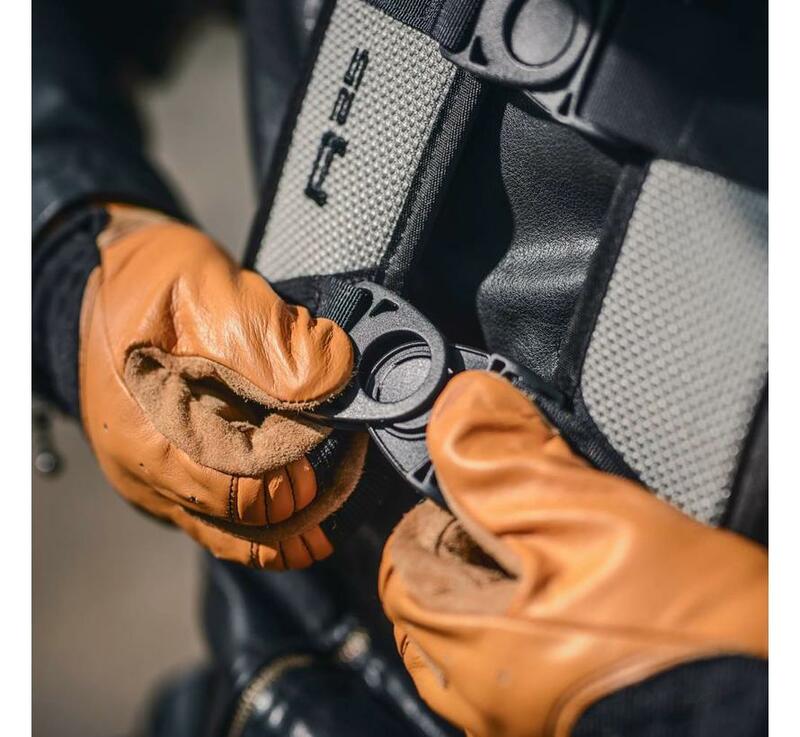 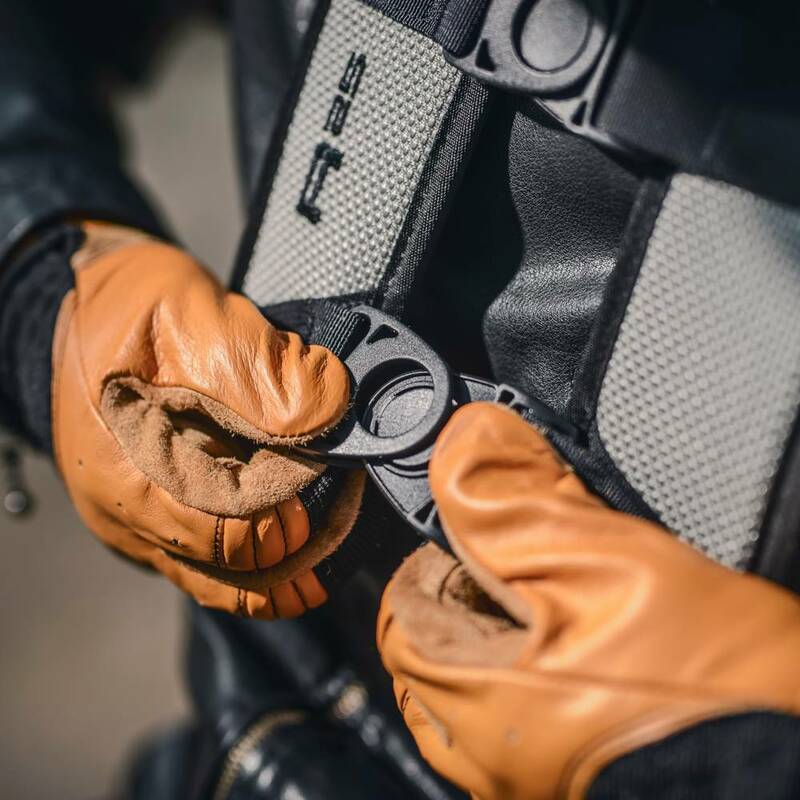 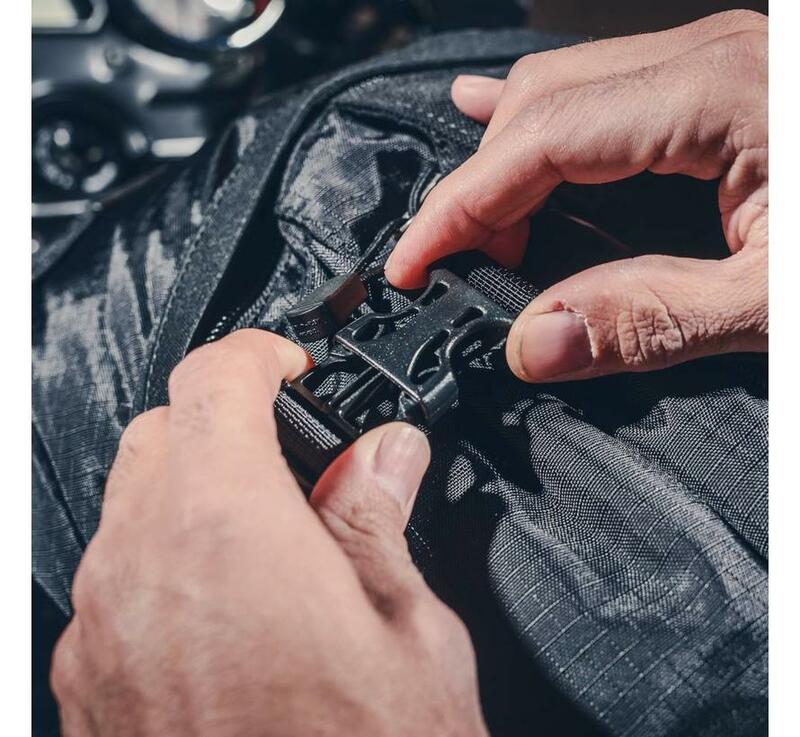 Innovative QUADLOC closure: When set, only open or close with the help of the quick release. 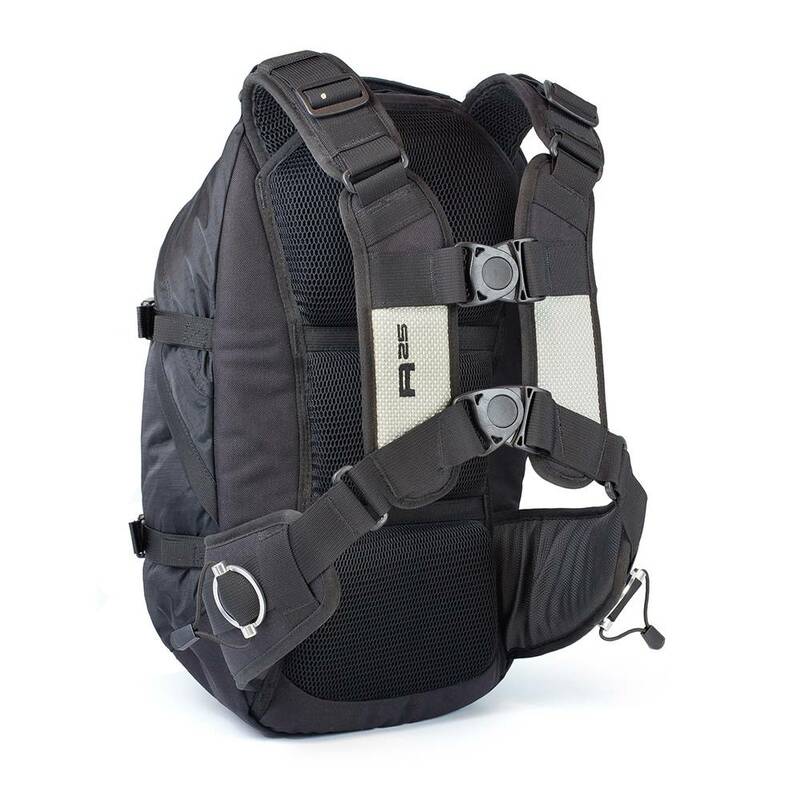 The straps do not obstruct you under the armpits, as other rucksacks do. 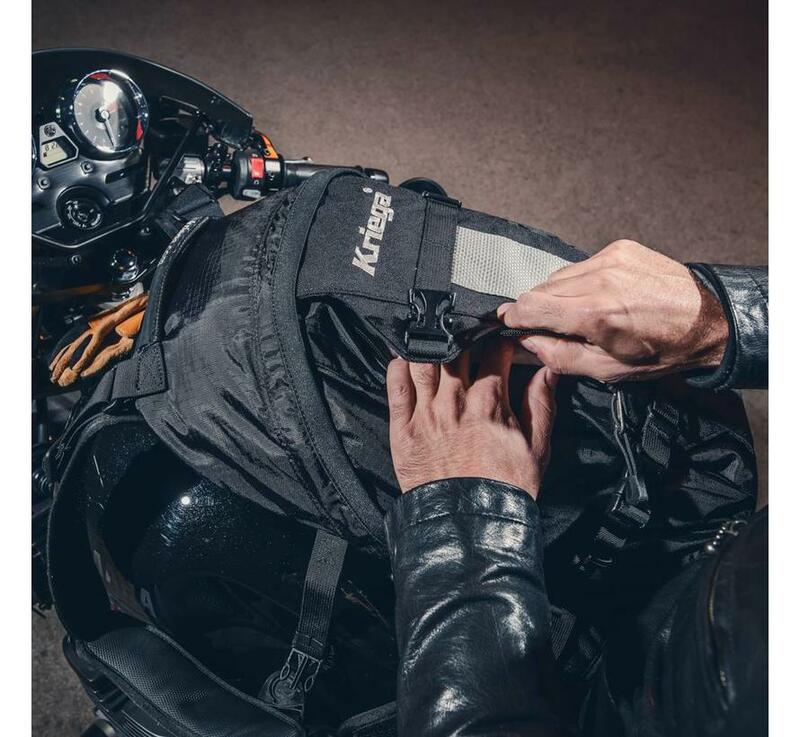 Full freedom of movement in every position on your motorcycle, both during tour and sports use. 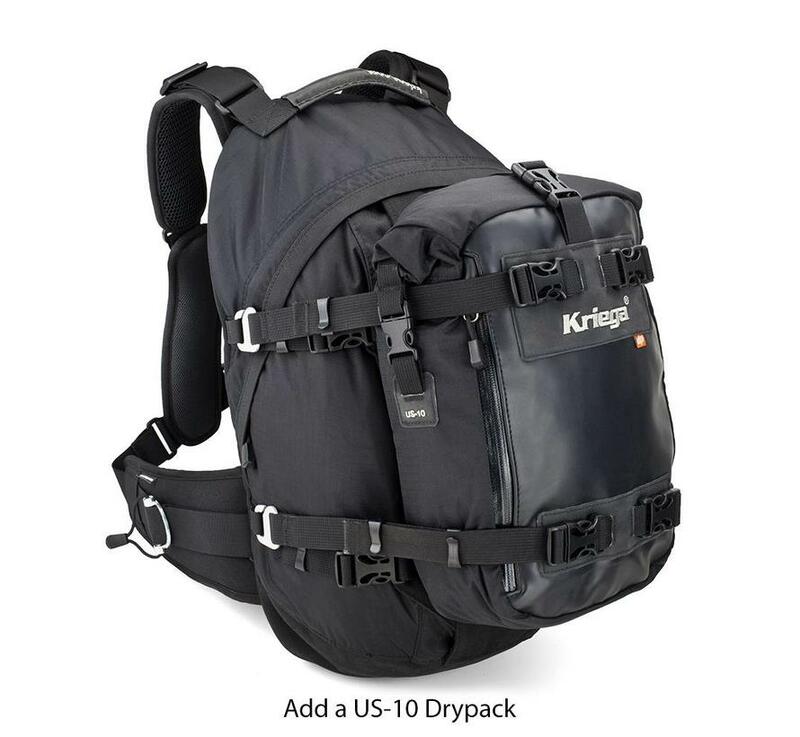 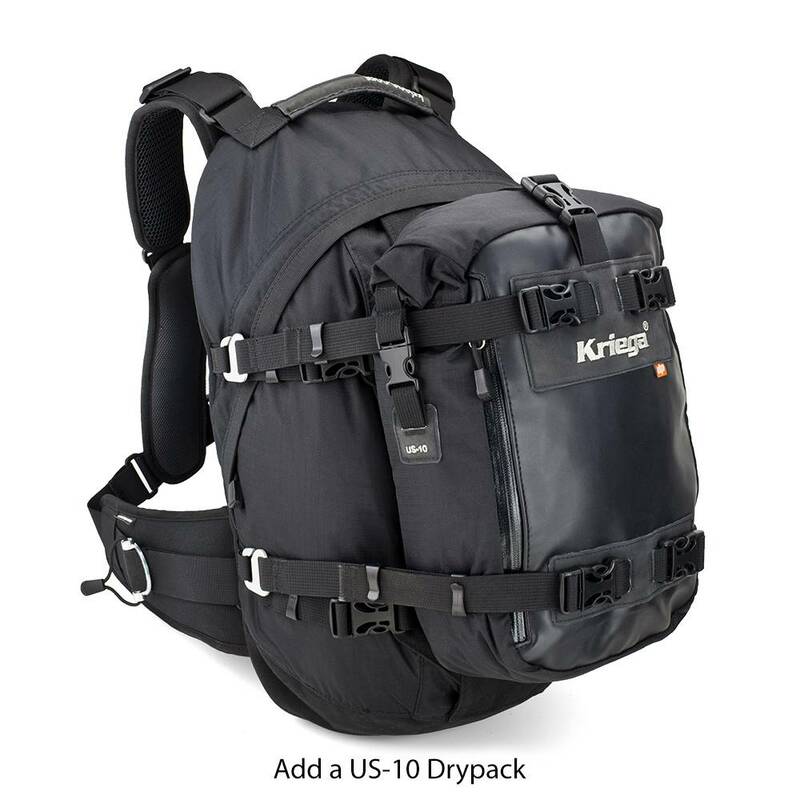 Optionally expandable with US-5, US-10, Harness pocket. 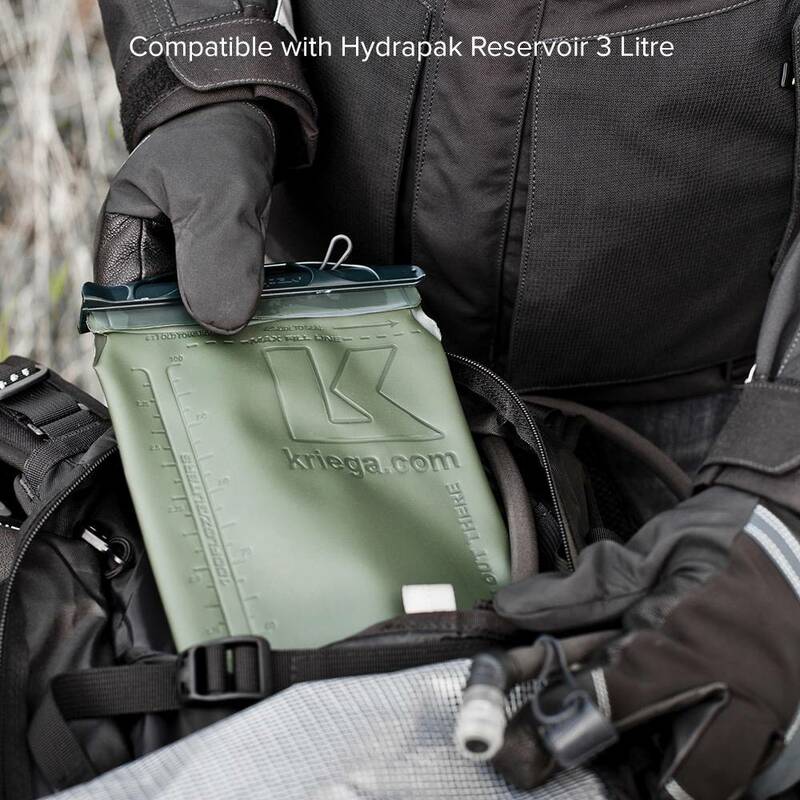 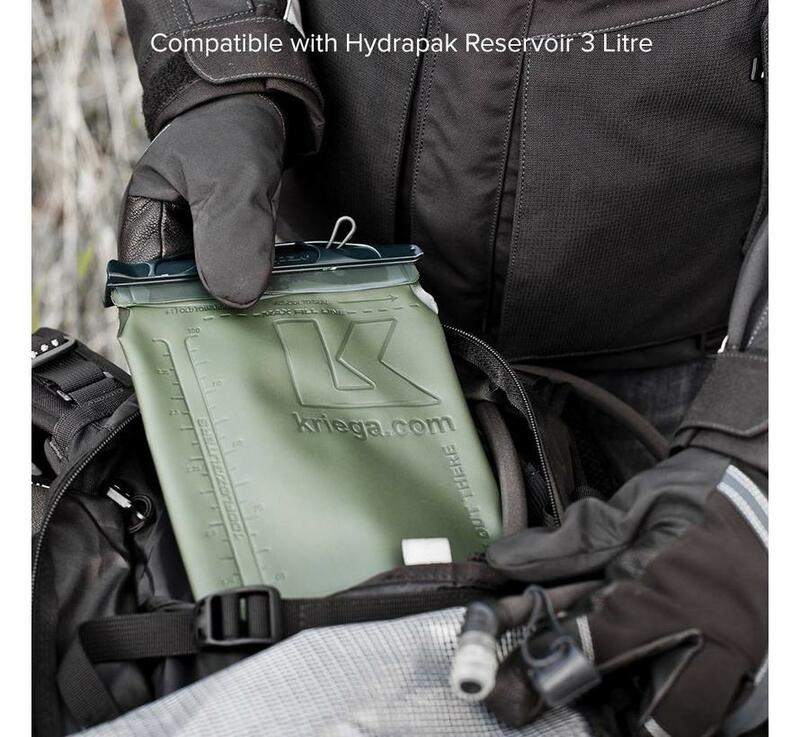 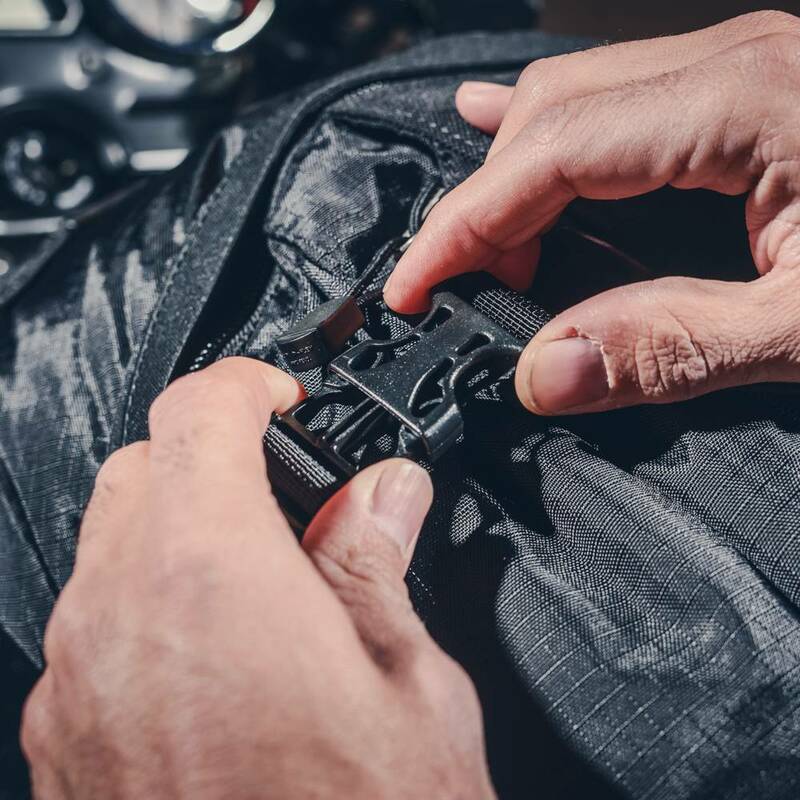 A quick-access side pocket provides space for the gear you need fast, with an oversize YKK® zip securing the main compartment. 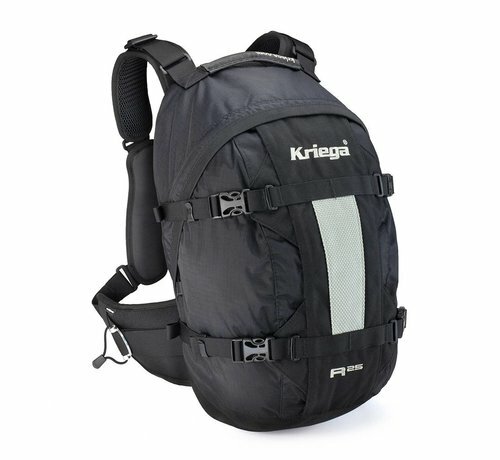 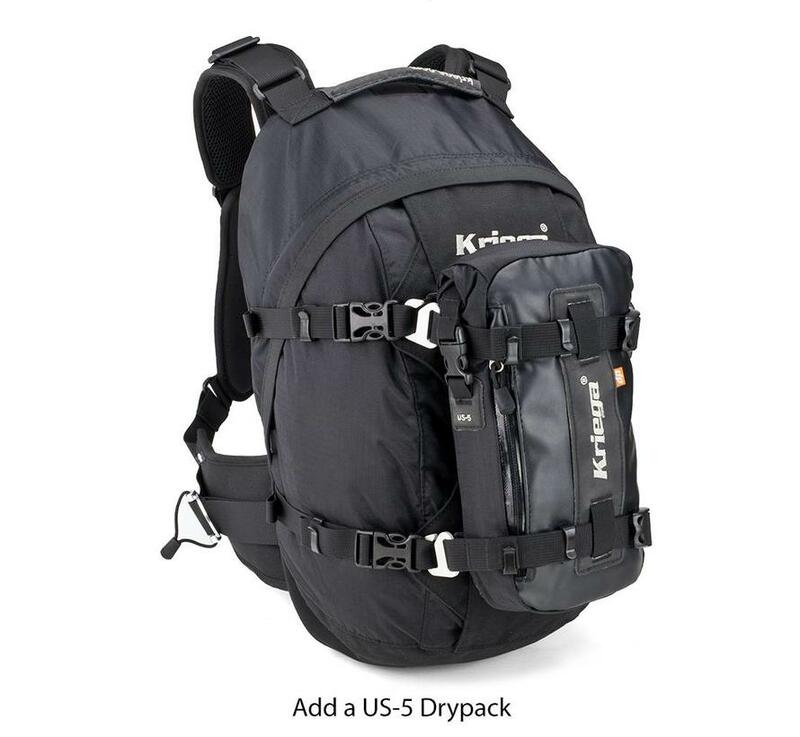 Four compression straps hold the load in place and a tough Hypalon carry handle make for a no-fuss pack for every day use. 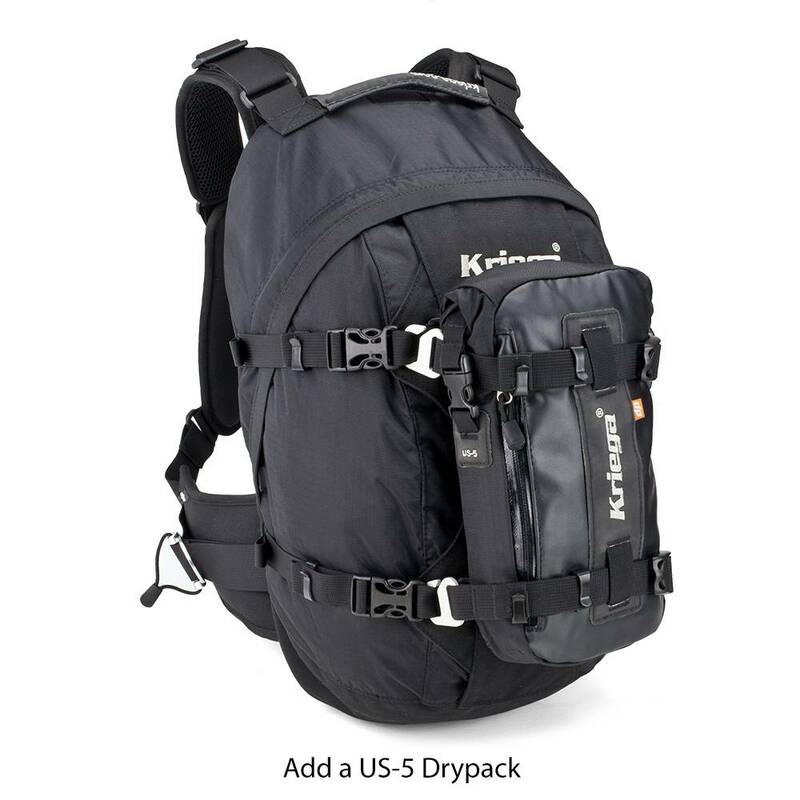 20.5(h) x 11.8(w) x 6.3(d) ins.